Summer’s not over! Stop it with that. Put your Halloween-candy away, Mr. Drug Store. See these tomatoes? 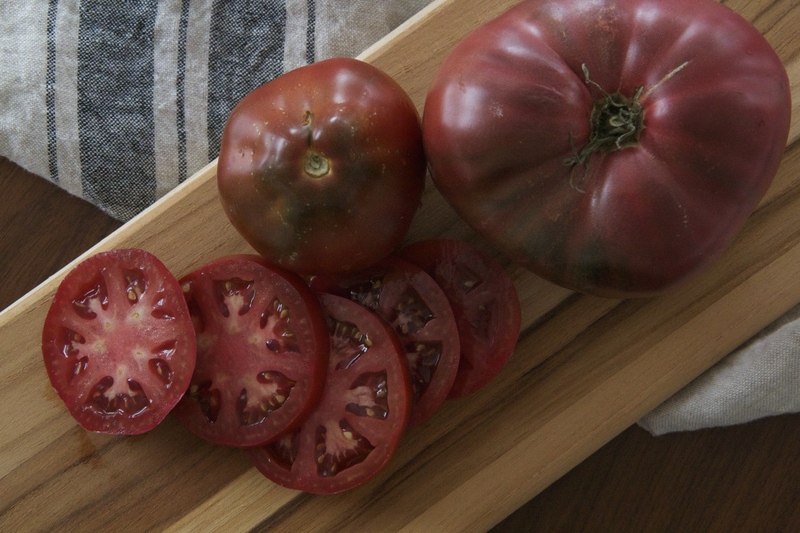 SUMMER TOMATOES. Make no mistake, Fall is my favorite season, but I’m not rush rush rushing to get there. I don’t want a pumpkin-spice latte just yet, thank you. Pumpkin-spice lattes mean heavy sweaters and the end of peach season and oh, yeah – that little October wedding thing. Nooooot ready for that (I need to find shoes first, and also probably write some vows. …Details). 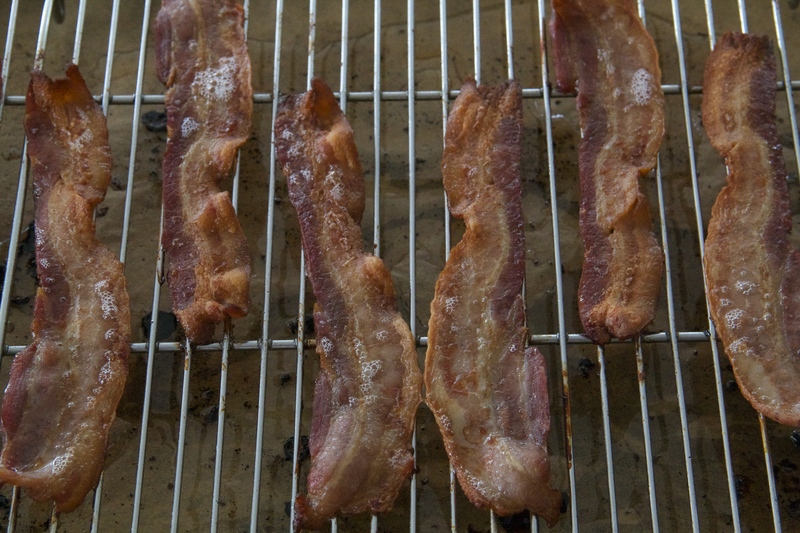 The trick to this BLT recipe (if you can really have a “recipe” for bacon, lettuce & tomato sandwiches) is cooking the bacon on a wire rack set over a sheet pan in the oven (holler, sheet pans!). Have you done this before? It’s the only way I make bacon, these days. Oven-baking frees up our hands to do other things (like get into the mayonnaise and shop for shoes online), and eliminates the inevitable bacon grease splatter burn of the stove-top method. 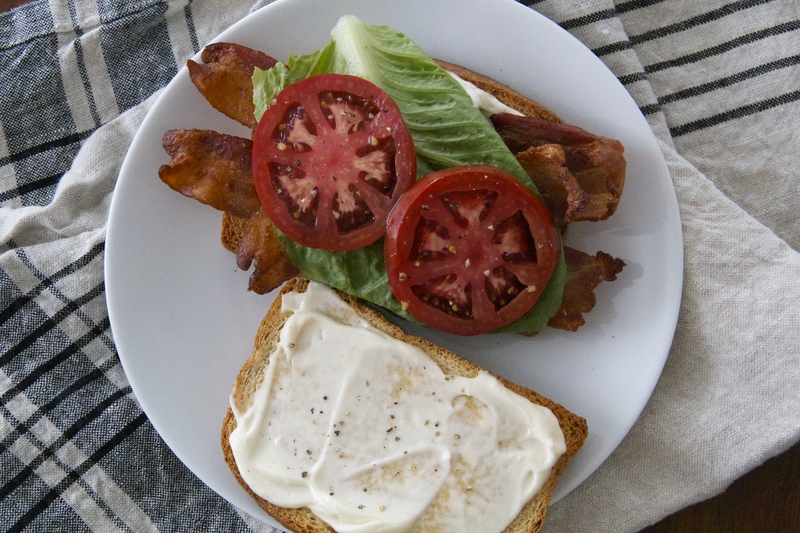 Get into this BLT! Summer’s still hot! 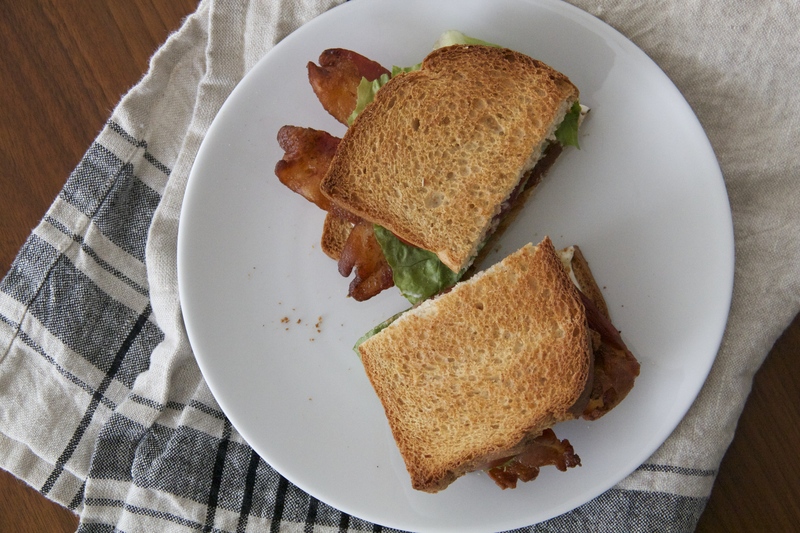 The key to the tastiest BLT is finding the best ingredients you possibly can — these sandwiches don’t require much, so in the name of quality over quantity, you’ll want the nicest bacon, tomatoes, lettuce and mayonnaise you can find. (You can use fancy breads, but I find classic white or whole wheat sandwich bread to be the most comforting/satisfying — just what I’m used to, I guess. Feel free to class it up a bit though, if you feel so inclined). Heat your oven to 400 degrees F. Line a sheet pan with parchment paper or tin foil, and place a wire rack on top of the lining. Lay the bacon strips on the wire rack, spacing them evenly apart, and bake them in the oven until brown and crisp, about 20 minutes or so. While the bacon cooks, toast the bread slices until golden brown. 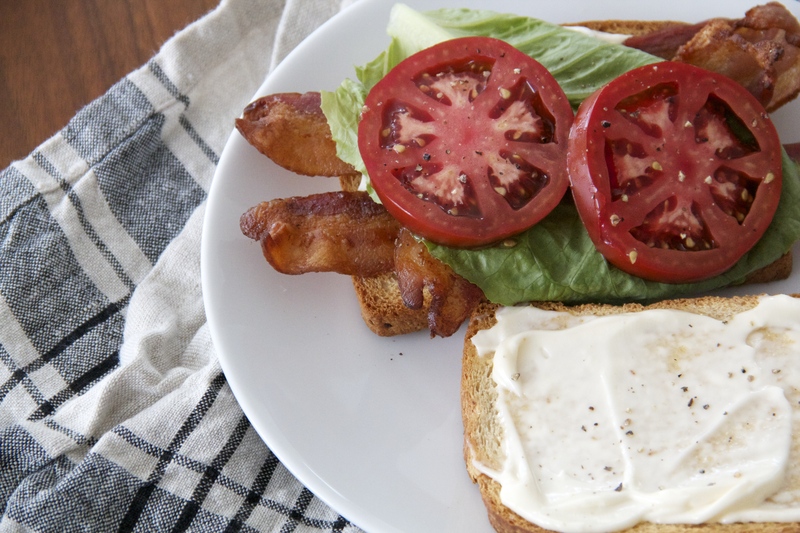 To assemble the sandwich, slather a healthy amount of mayonnaise onto two of the toast slices, top with crisp bacon, tomato slices, salt, pepper and romaine, and finish with the remaining slices of toast. Use a sharp knife to cut the sandwiches in half, and serve immediately, with plenty of chips alongside. You can never go wrong with blue suede shoes. And this BLT sounds simply amazing! Thanks! Looks amazing. Cant go wrong! Can’t go wrong with those tomatoes, yum nothing like a classic BLT! Oh man, now you have me craving BLTs in the worst way, and…wait for it…I don’t have any bacon! This is the worst! It’s definitely going on the shopping list, though, because I need one of these sandwiches in my life, stat.